Coltene, Cuyahoga Falls, Ohio, hosted the second North America Key Opinion Leader Symposium, September 20-22 at the Fairmont Queen Elizabeth hotel in Montreal. 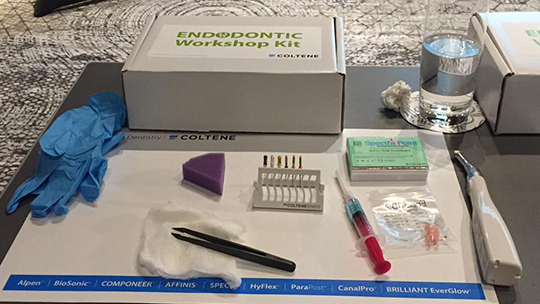 The event brought together more than 60 dental experts from the United States, Canada and Europe along with Coltene’s North American sales and marketing leaders. Topics discussed included advancements in technology and trends in preservative dentistry for both endodontic and restorative practitioners. The event kicked off with a welcome reception followed by a day focused on endodontic dentistry, and ended with a day dedicated to restorative dentistry. To learn more about the second North America Key Opinion Leader Symposium, visit: https://youtu.be/n76WaBAbw6w.